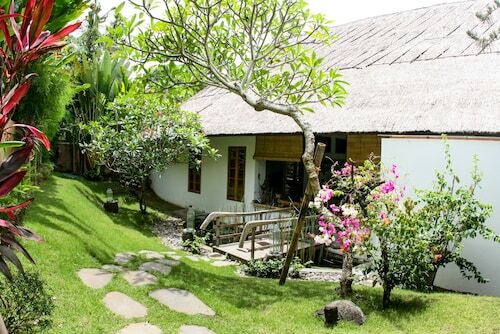 Situated in Batubulan, this bed & breakfast is 2.2 mi (3.5 km) from Bali Bird Park and 3 mi (4.8 km) from Bali Zoo. Bali Orchid Garden is 2.6 mi (4.2 km) away. 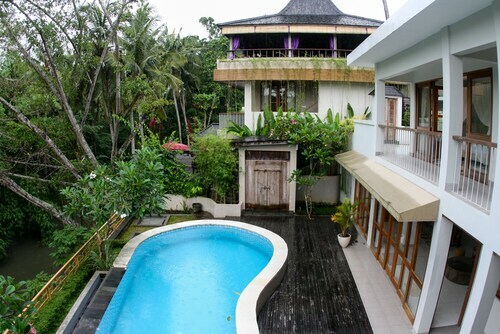 Situated on the boardwalk, this villa is within 9 mi (15 km) of Sanur Beach, Tegenungan Waterfall, and Ubud Monkey Forest. Legian Beach and Kuta Beach are also within 12 mi (20 km). You'll be able to feast your eyes on some interesting animals at Bali Bird Park. 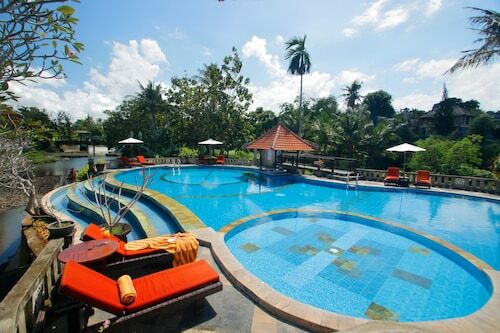 It is located in Sukawati, a destination which has plenty of things to keep you occupied. 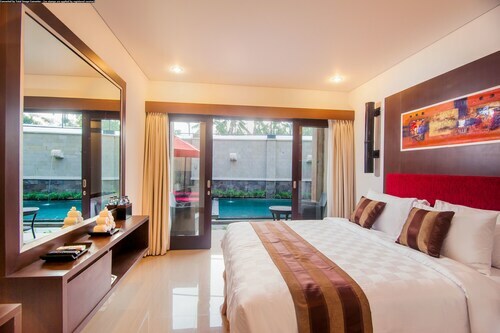 With 9 choices within 3 kilometres of Bali Bird Park, finding your perfect room ought to be a breeze. 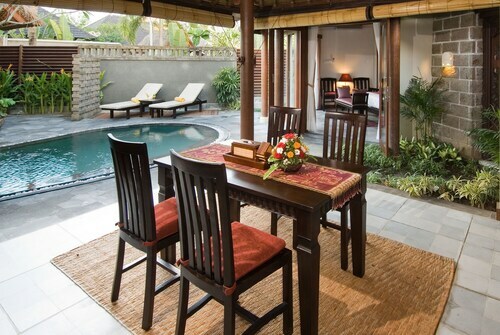 We recommend the Bumi Linggah The Pratama Villas, 2 kilometres away. If that doesn't fit your criteria, perhaps you would prefer the Santi Mandala Villa & Spa (2 kilometres) or the Alam Puri Art Museum - Resort & Spa (2 kilometres). Want to save a little cash? There are some nice budget-friendly lodgings nearby. 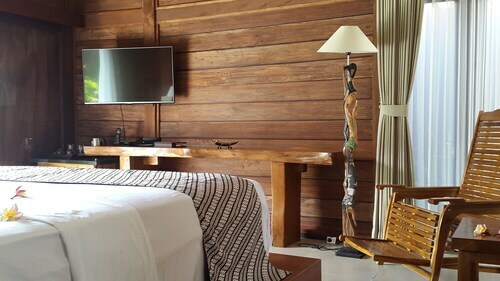 You're bound to have a good sleep at the Villa Kamar Madu or the Nyima Inn. That said, the surrounding area's various quality hotels are far above the rest. 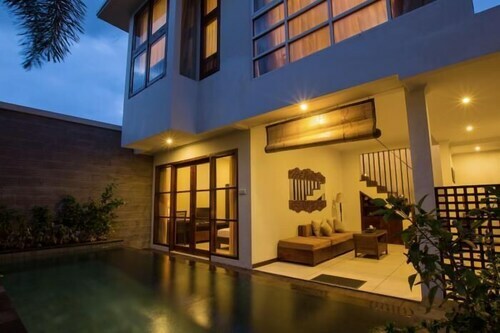 Try out the Sri Abi Ratu Villa, a kilometre away. If that's not what you're after, The Sanctoo Villa is 2 kilometres away. Before you check out Bali Bird Park, go after the scent of hot coffee to Cening Coffee Bali. When you're looking for a feed, you won't have to go far. 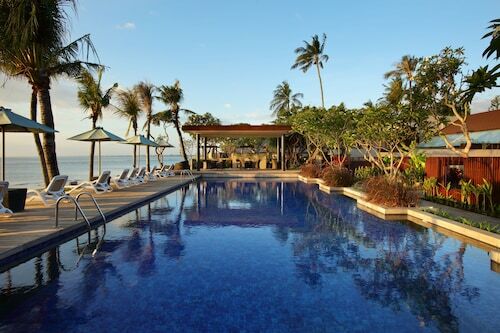 Head to Bali Starling Restaurant for a delicious meal. As your day winds down and your mind turns to a drink, stroll over to Slidslid Bar. Head to Saha Dewa Stage to view a show. But first, check what language it's in or you might find it difficult to understand. Gain some understanding of the importance of different traditions and cultures at Pura Puseh Batubulan, a holy site for local believers. 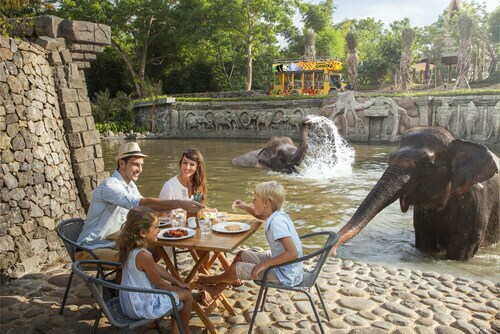 To amuse the youngsters, take them out to Bali Zoo, where exotic and local species of animals will keep them busy. Remember to stop by The Giant Tree. Have a look for guided tours or just take in the surrounds of this notable attraction. Expend the young ones' energy, with a visit to Bali Fun World. How Much is a Hotel Room in Bali Bird Park? 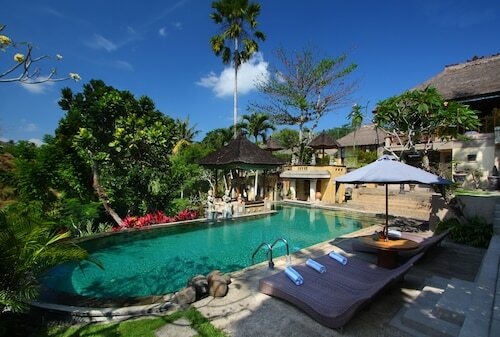 Hotels in Bali Bird Park start at AU$33 per night. Prices and availability subject to change. Additional terms may apply.